A lovely Sasha Doll friend of mine, gave me an artistic license to do whatever I thought was befitting for her beautiful, late 60´s original brunette who had severe hair loss. First there were a few issues to deal with, such as one or two marker pen stains and a rather large rub to her upper lip, which I touched up carefully to blend with the pretty rose shade already present. 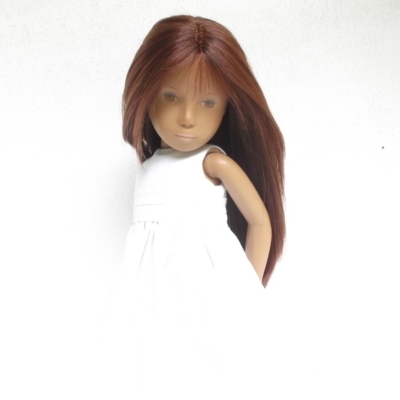 Because Carrie has quite gentle eyes, I found dark brown shades looked too harsh, but equally, paler tones made her rather wishy-washy and not a good option either! 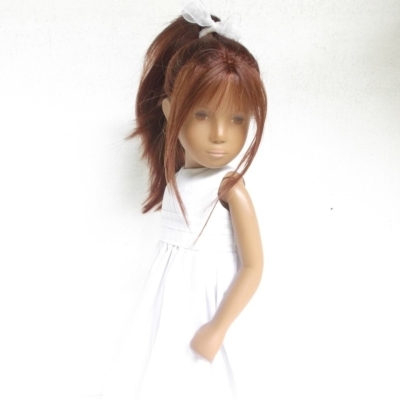 I kept being drawn to a bright auburn shade, but as she wasn´t my own doll, I worried that my friend would not approve. However, there she was coming alive when I draped the colour around her face, so l decided to risk it with a little toning down using a fine blend of a mixed-in brown shade. I kept Carrie´s hair quite long because I wanted her to be able to wear a super-high ponytail, but stayed in-line with her original center part. 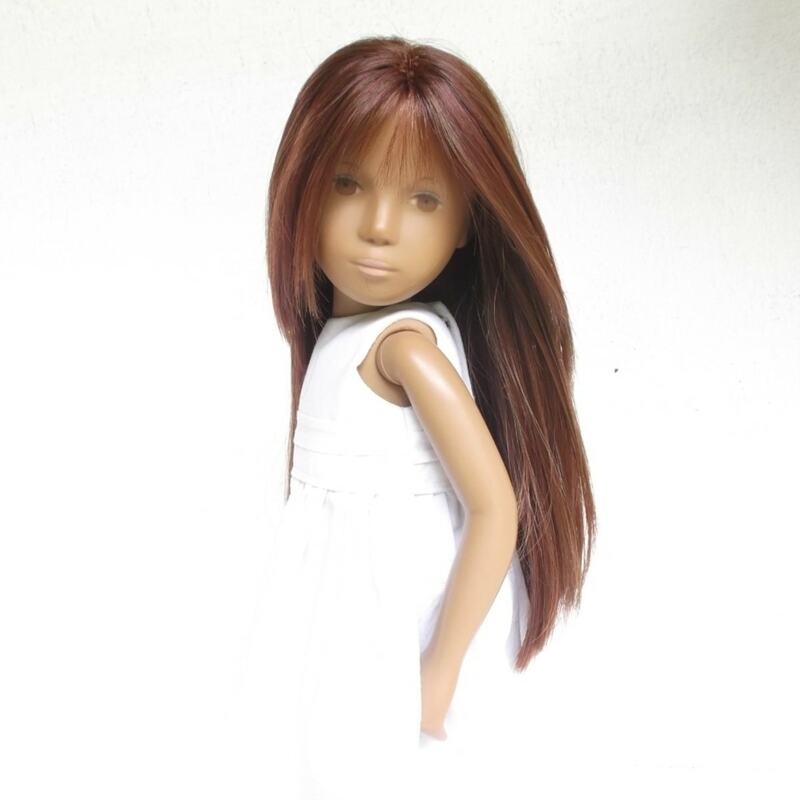 There are swept back layers, just the finest strands of a fringe and with the ends gently curled under, she has lots of bounce and natural movement. Sasha Dolls have quite a subtle variety of skin tones and their face paint can be quite vibrant or subdued, but Carrie surprised me in many ways in how beautifully she managed to carry this amazing colour off and look so enchanting….and thankfully, her “Mum” was as much delighted with the result as I was!